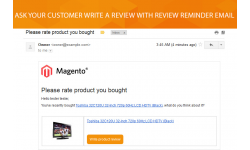 Our Magento product review reminder extension was developed to achieve all of the following goals: motivate customers to post reviews, get positive feedback, built trust for your store, increase user flows and get higher website conversion rate. Choose the module as a way to create an engaging content based on reviews. Encourage traffic for better SEO. When it comes to getting positive reviews, our extension is highly recommended. 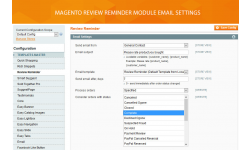 The module allows you to create review reminders and send emails to customers after the order was completed. You can use already created email message or write another one in the backend. 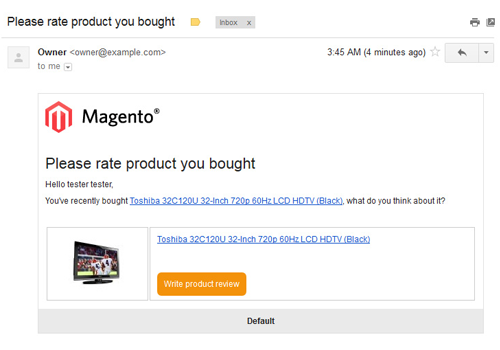 Generate your own email template with welcome text. You can group all orders in the same reminder. 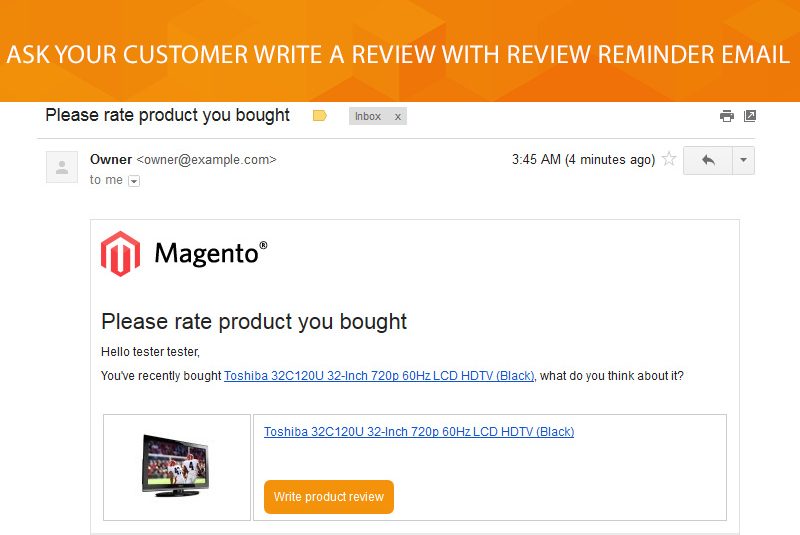 With Review Reminder you'll get helpful review ratings. New sales might be what you end up with. Our module comes with widely customized interfaces. You are allowed to choose to send the reminder from different senders, to change the subject and template of email and to set up the time when the email will be sent. 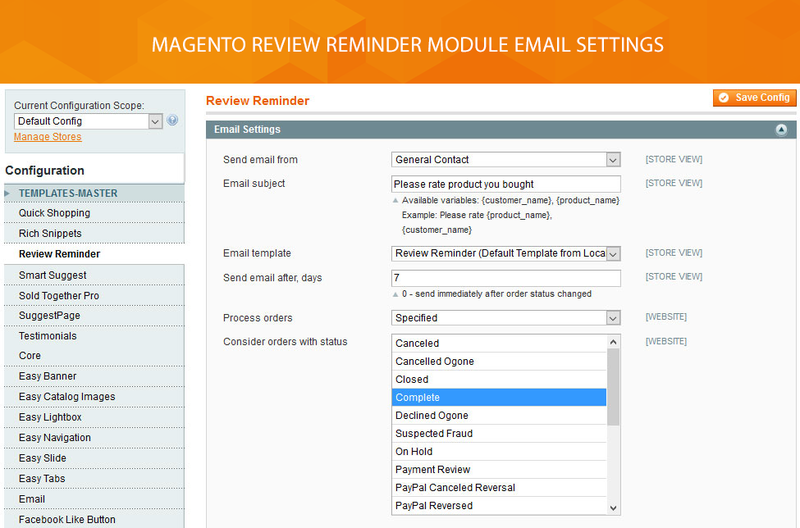 Moreover, you can send review reminders based on order status which is defined when creating your emails. 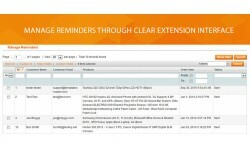 With Review Reminder extension you can send reminder emails both for new and old orders. After the new order complete or its status was changed according to your previous settings in configuration, the review reminder will be created automatically. 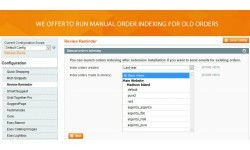 What if you have existing orders for the module installation. 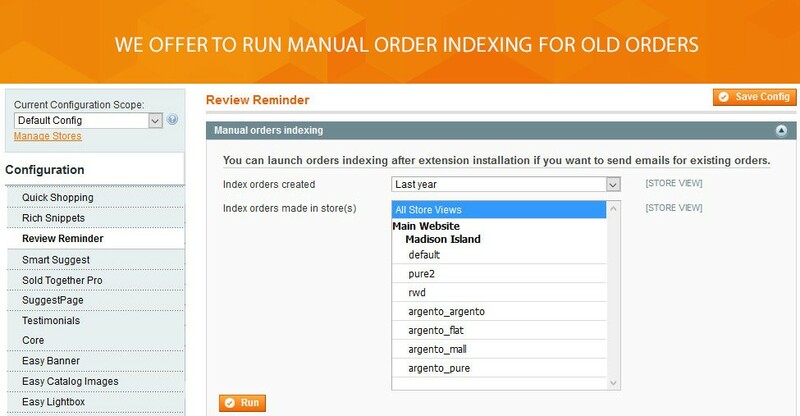 We offer you to run order indexing manually right from admin. You can sort up new orders by Store view, the order creating date and order status. The order id and customer email will be saved in reminder table. 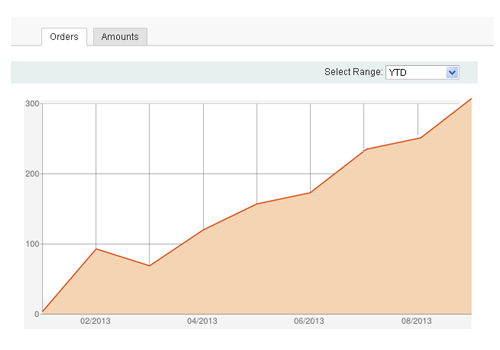 Improve your site ranking in Google search. Encourage your customers to post reviews. This way you will collect user-generated rich content most likely with relevant keywords. New reviews - more updated page content - better SEO results. Our module will also help you to increase click-through rates and get higher conversion rate. 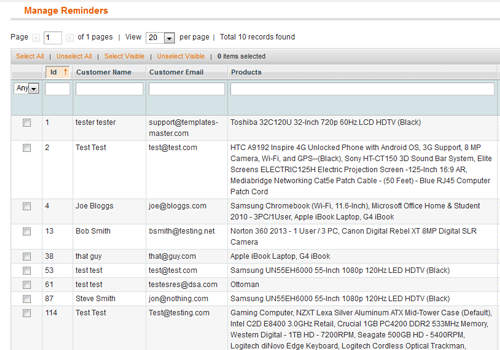 With our extension, you can easily manage reminders and reviewed orders. 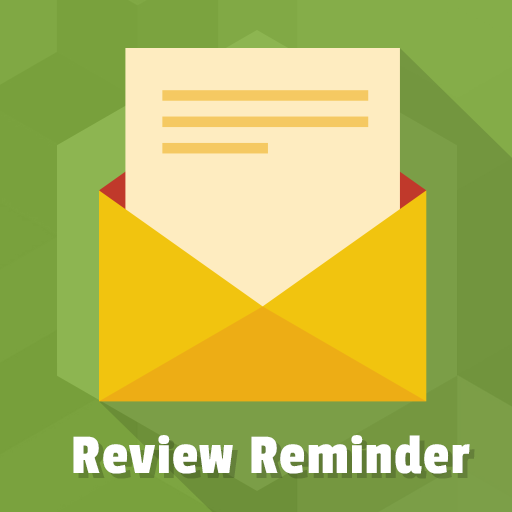 You are allowed to edit the reminder status and send a review reminder email again in case it was not reviewed. 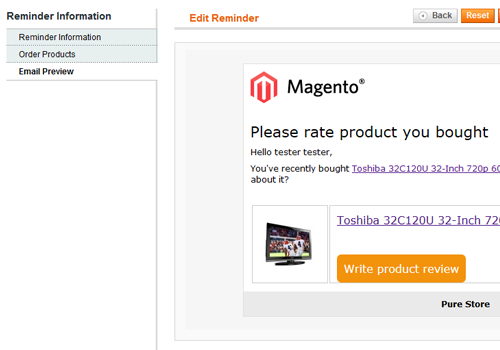 Afterwards, you can change the review status in order to track the review reminder efficiency.